Bill Tern is an agent with British Intelligence. It is likely that the department in which he works is MI-6, aka Secret Intelligence Service, for though his employers are never designated, he does talk about working for the "Service" and considering the work he does could potentially take him anywhere in the world, MI-6 is the best bet. He is described as "... a good-looking young man with a square, storng case and a firm, pugnacious chin. He was tall, and his long legs seemed to fit awkwardly into the narrow knee-hole of his desk. He had dark, untidy hair; the kind of hair which one associates with a rebel, and he was obviously not the kind of young man who would conform to any time-worn pattern." From the way his boss, a very stern man with the name of Joe Rank, treats him, Tern has been an agent for a few years performing well but not incredibly so. He does have an assistant, for a while, which means he is not exactly a junior operative. Guessing his age to be around 30 is not unreasonable. Tern is a patriot without any doubt and he would rather be doing what he is doing than anything else and could not conceive of doing it for anybody else. While he admits to himself and others that there are long periods of incredibly dullness in his job, these are made well worth it because of the times when he is forced to live life "just as hard and as full as it is possible for a man to live any life." That is not to say that he is totally sold on the Establishment. His keen intellect and quick wit work together to let him see the foibles in everyone, including himself, and to have a laugh or two at them. A case in point is when things start to go wrong and he tells his assistant that the Tenth Parkinson Law was that "the principle purpose of a staff is to take the blame." He fulfills that requirement himself a time or two. Tern would never be considered the epitome of any secret agent for he is a tad too glib with, well, everyone. He would be willing to give his life for his country but he would be hard-pressed to think of any one individual, other than a loved one, that he would specifically name as worthy of his sacrifice. The Soviets created a nuclear weapon that fit in a suitcase. A British agent stole it and tried to smuggle it home. Someone killed him and took it and demanded £15,000,000 or it would be exploded in Central London. Bill Tern's job is to get it back. George Cockston decided one day to conquer the world. 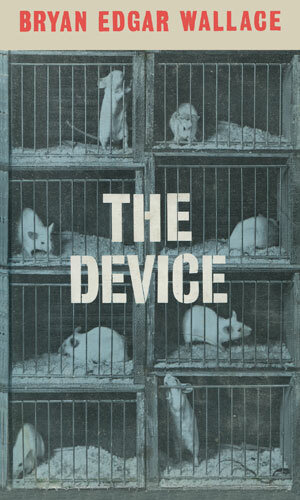 To do so, he planned to use "the device". Despite the flamboyancy of the intent, those in command are certain he can do it and the entire army is sent to stop him. The one man who stands a chance is Bill Tern. 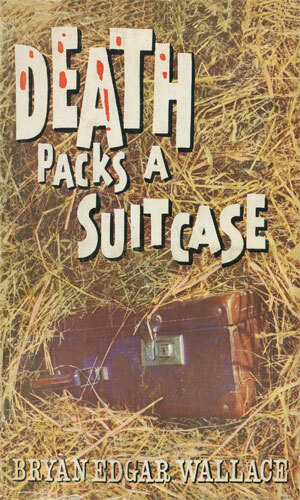 The idea of a suitcase nuke being smuggled into the country by nasties is by no means a new one - it is almost cliché. This series' first adventure, however, was published in 1961 so rather than getting a yawning nod from me, it got a "wow!" because it may well be the first use of the idea in a spy novel. Certainly it is one of the first and for that it should get a bunch of extra credit. The second of the two adventures is also one to touch on an emerging technology, this one being used by a madman out to conquer the world with it. Again this idea has been used over and over throughout the last fifty years of spy fiction. Again this is one of the first to make use of it so again it deserves notice. Two books - both entitled to some acclaim for their innovation and neither known to hardly anyone. I considered myself something of an expert when it came to such things and until I happened upon this author and finally got around to reading them, I have clue. The author's father was a very famous (in his time) author; his son nowhere near that level of recognition and yet for his innovations, he deserves to be.